Living in an era of great material abundance, it is possible for us to get everything at our fingertips. It seems that we have inadvertently forgotten what leads us to heartfelt happiness—a real laugh. How long haven’t you smiled with your whole heart? Sometimes, we just need a stand-up comedy to make ourselves burst into laughter. 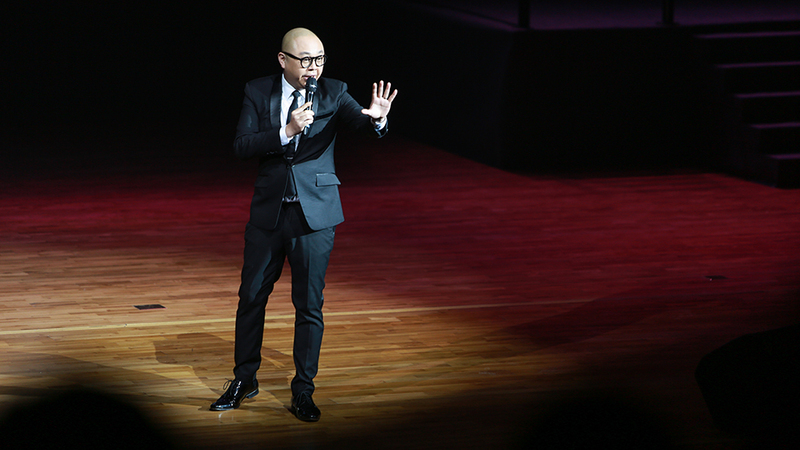 And Bob Lam has offered us the opportunity with his talk show “BOB’s UP”. In 2015, Bob first held the talk show in Queen Elizabeth Stadium. 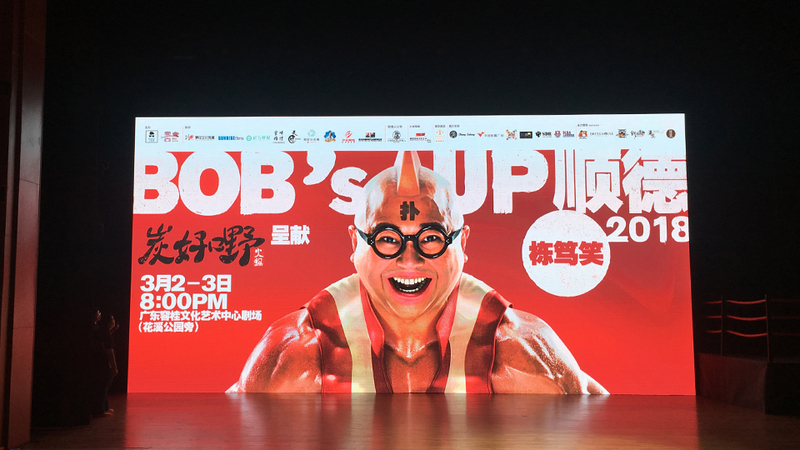 Stepping into the 4th station, “BOB’s UP” was held in Ronggui Cultural Art Centre, Shunde in the past weekend. The talk show successfully completed with a house full of laughter. 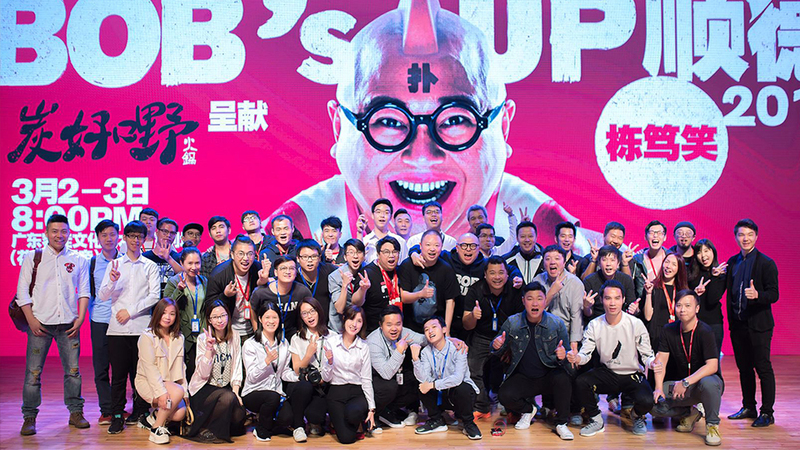 Since it was the first time to have a talk show in Shunde district, Bob had been making every effort to prepare for it. He tried to mingle with local people and feel the authentic culture of Shunde, so as to fine-tune the script to make sure that his jokes sounded idiomatic to local people. He understood the fact that talking boastfully would not be able to impress the audiences, and therefore he used his own experiences to encourage people. From a salesperson to a DJ, to a well-known actor and emcee, Bob has gone through a tons of ups and downs. He taught us to be optimistic when coping with difficulties with his own stories. He showed his identity card to the audiences and said he looked like a fugitive. 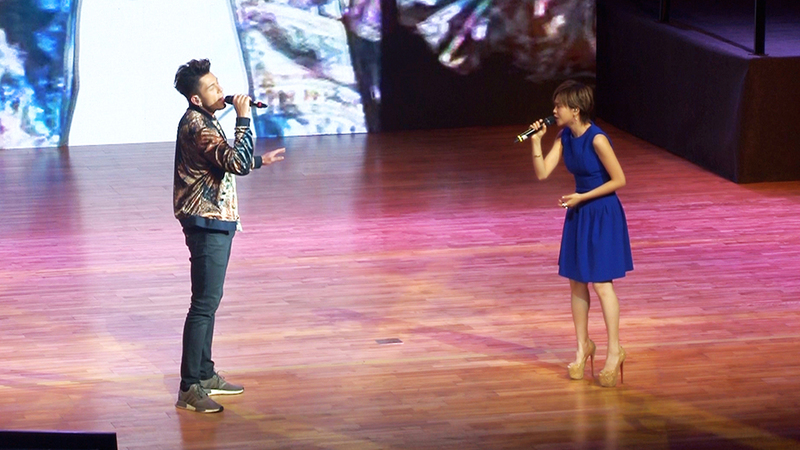 He even asked the audiences to take out their mobile phones to take pictures, which left a remarkable memory for them. Bob shared a lot of his work experience and the interesting dialogues with some senior actors, but the most soul-stirring part of all was when he expressed his gratitude to his family. He talked about the way he got along with his wife and also the anecdotes with his son and daughters. After talking for a while, he took out a photo from his pocket and said, “I feel blessed to be with you all, thank you so much.” Although he would talk about his family every time, the talk show in Shunde was probably the most heartwarming one. A man came and asked if Bob could help him with his marriage proposal one day before the show. The next day, a surprising marriage proposal happened during the talk show, which made some of the audiences dissolved into tears. Working in the entertainment industry for more than 10 years, Bob has met a lot of good friends. 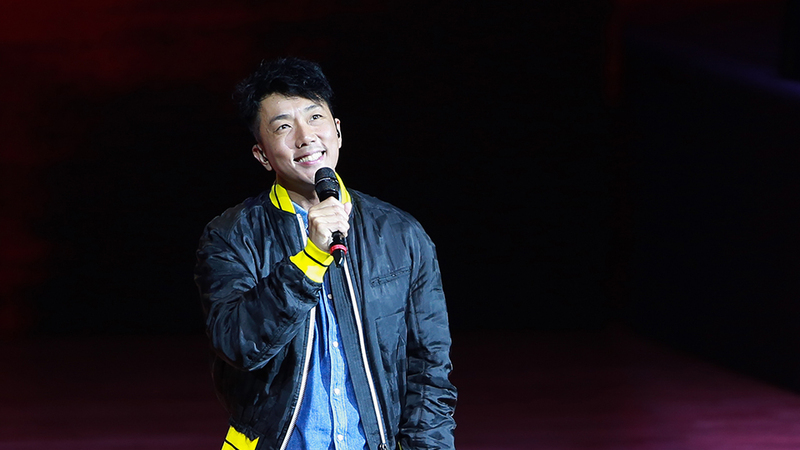 He invited some singers from Hong Kong and Macau to perform on the stage, including Wilfred Lau, Alex Fong, Vivian Chan, German Ku and J.Arie. As Vivian and German sang the song “You Are The Most Precious”, Bob took the opportunity to thank his wife for supporting him throughout the whole journey. 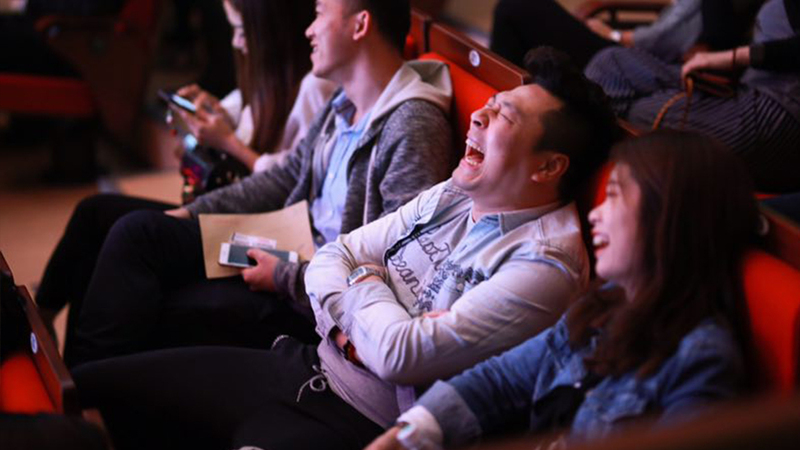 A 2-hour stand-up comedy allows people to put their worries aside and re-adjust the pace of life. 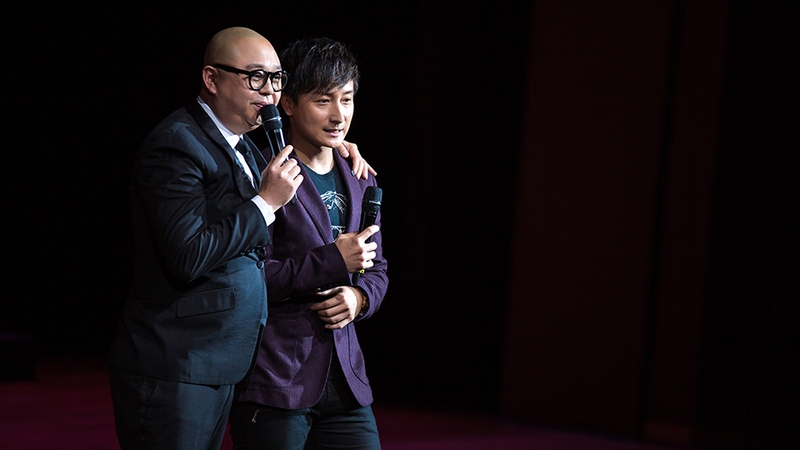 Bob hopes that the audiences would remember all his fun jokes, as well as the “Spirit of Bob Lam”.